It is best to plant a rose bush either in the spring or the fall. Fall is the best option, although be sure to do before the ground freezes to allow for the feeder roots to embed themselves in the soil before they become dormant for the winter. Once spring comes, the roses will flourish. If you are unable to plant them in the fall, spring is the second best option. Make sure that the risk of frost has passed. 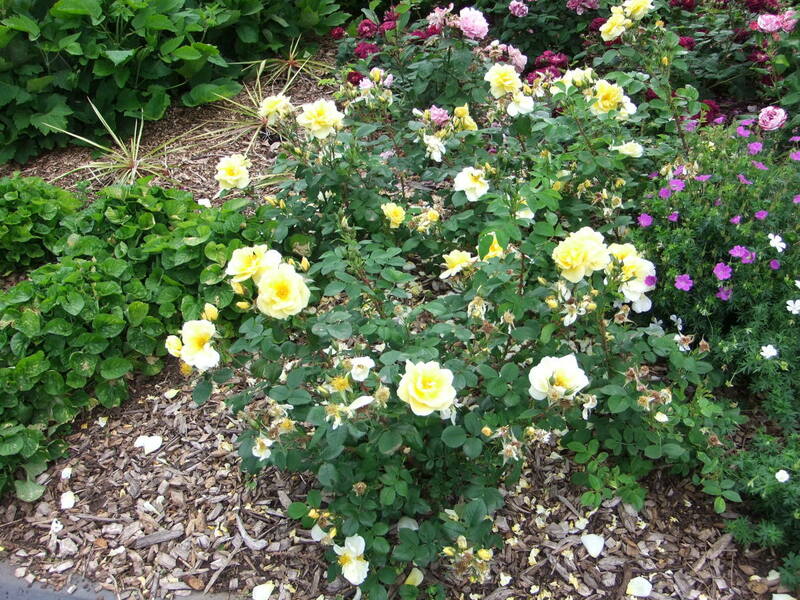 Spring planted roses will have a long enough time for the roots to grow deep into the soil before it is too hot. If they are planted too late, the heat can cause them to dry out and die. 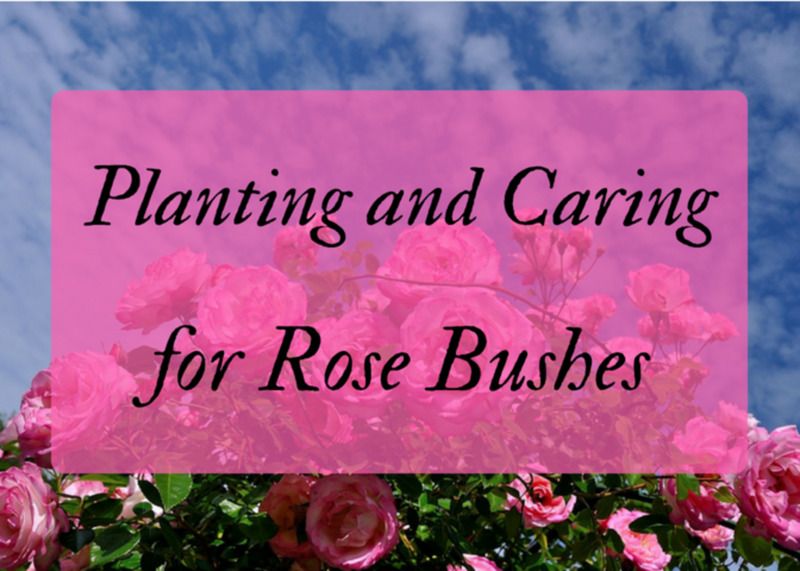 It is imperative that rose bushes get a lot of water when they are first planted, in order for them to stay well hydrated and capable of seeking nourishment. When To Trim: What Season Is Best? Early Spring Pruning: If you choose to prune your rose bushes in the spring, you want to wait until the risk of frost has passed. Therefore, dependent on where you live, it could be anywhere between January and May. A good indicator is when the buds begin to swell, but before they blossom. Late Fall Pruning: Pruning should mainly happen in the spring, although some suggest pruning a little in the fall right after the first frost. This prepares the rose against winter damage that may occur when the snow falls. Major pruning should happen in the spring. What you are mainly looking for in the winter is the tallest branches or canes, that need to be trimmed to avoid winter damage, as well as dead branches. Also, you want to make sure that there are no canes crossing each other because when the cold wind blows, these branches will rub up against one another and damaging one another. The ideal shape to prune a rose bush is in the shape of a vase. The idea behind trimming a rose is so that air can circulate within the bush to allow for new healthy growth. This will allow an optimal amount of buds to appear, and prevent disease from attacking your plants. 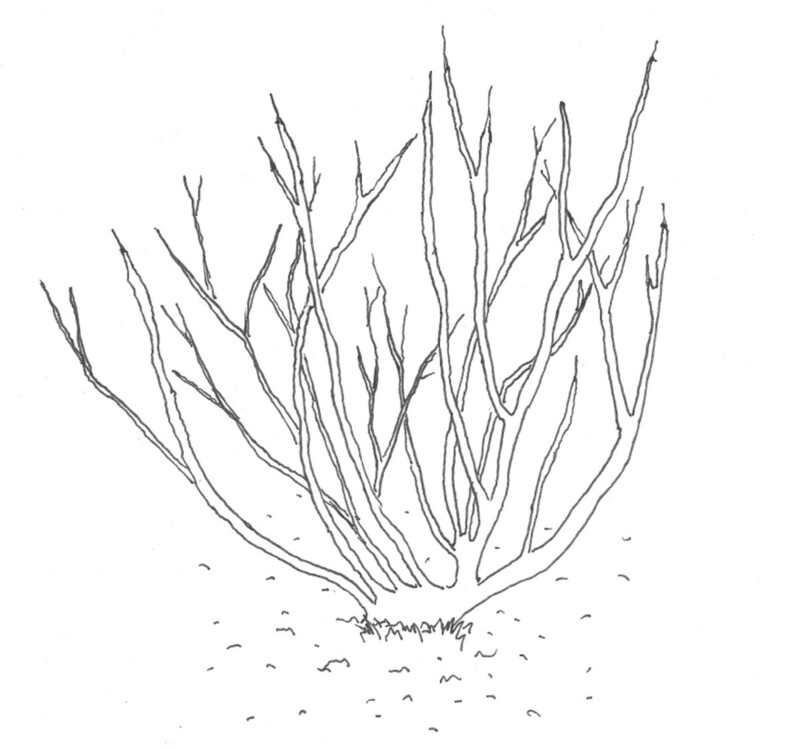 Never trim more than a third of the way down, as this can cause the branch to die. The point is to make the bush look even. You will want to make sure you choose very sharp pruners. If you choose dull blades, you could cause the branch to splinter when you cut the branch, which would subject the open cut to disease or infection. It is a good idea to dip your pruners in alcohol between rose bushes, to prevent the spread of disease from each plant. When making a cut, you want to make it at a 45-degree angle above where a branch leads off or about a quarter inch above a bud. This makes sure there is new life off the branch and will give the rose bush a more beautiful appearance. Once you make the cut, it should reveal a nice white inside of the stem. If there is any brown decay inside, then clip further down, until you have a nice clean cut that is white throughout. You want to get rid of any unhealthy part. Aside from the annual trim, you will need to trim throughout the year when you see certain problem areas. This will prevent disease or damage. When You See Dead Branches/Leaves/Buds: The easiest way to know you need to prune is when you see any dead branches, leaves, or buds on your rose bush. These need to be cut off immediately. By cutting dead canes, or leaves, or even buds, it allows the energy to go towards the green new growth. Also, by keeping up with cutting back the dead growth, this prevents against disease. 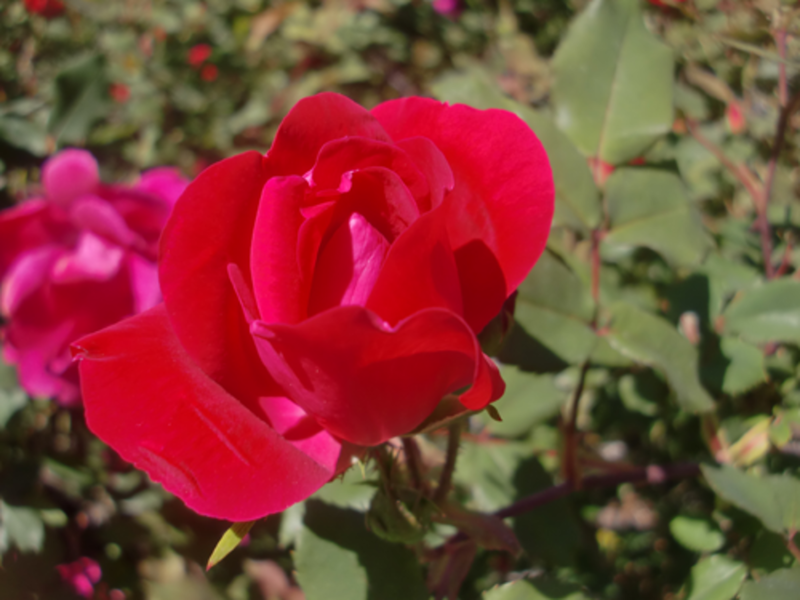 When a Rose Blooms: There are many reasons to cut roses off your bush. First of all, you will have a beautiful bouquet to give or decorate your house. 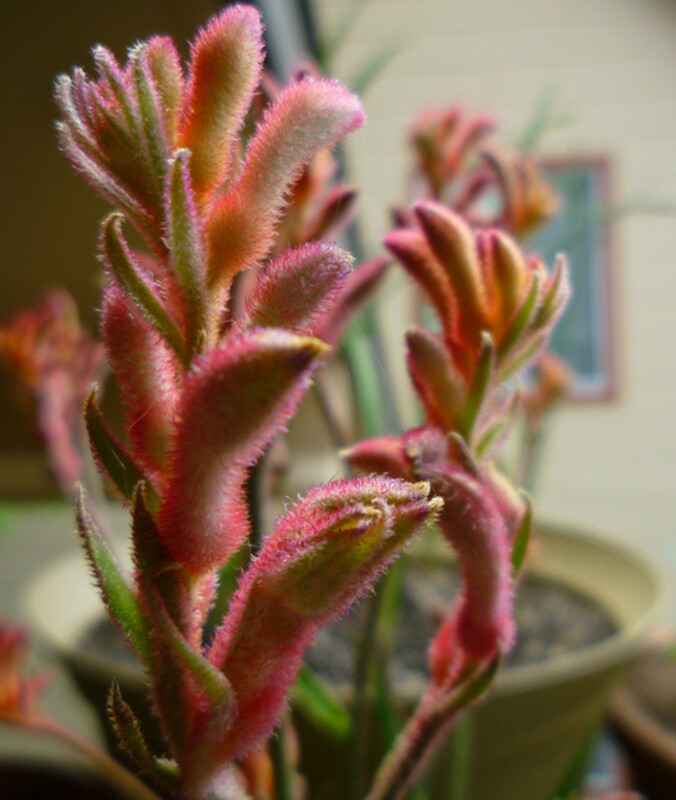 Also, by trimming these beautiful flowers off the bush, it allows for energy to focus on forming new buds. When Long Canes Get In the Way: Another great indicator that you need to trim your rose bush is anytime you have long canes that can poke someone walking by or getting in the way of other items in your garden. 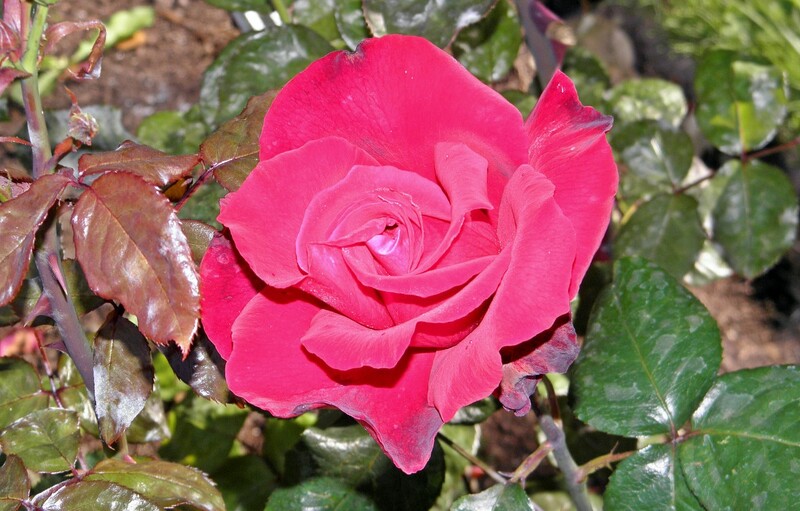 By following these tips, you will have a beautiful rose bush that you will be able to enjoy for years. Just remember to make sure that your bush has lots of room so that air can circulate and that you eliminate dead or diseased portions. Soon you will have a garden full of beautiful blossoms that you can share or enjoy for yourself. Climbing roses that are very fragrant. Only flower once a year. Come in red, white, and pink, some of them bloom more than once. Some of these roses only bloom once a year. Are tender and not good for places with cold climates. 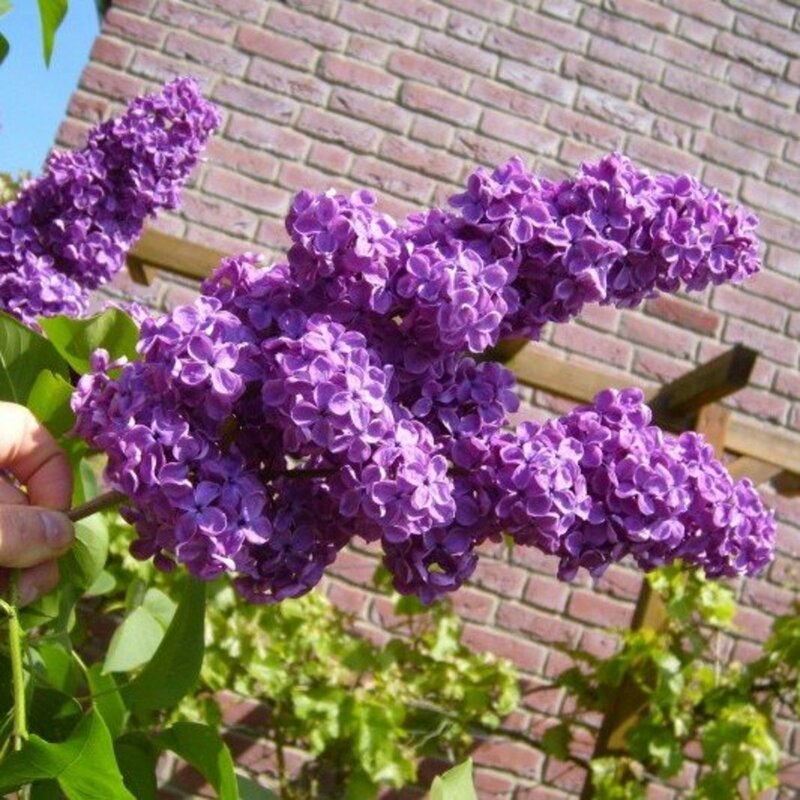 Very fragrant, thornless, and come in pink, red, and purple. Only bloom once a year. A variety of colors, bloom frequently. Need a period of dormancy, so not good indoor or very warm weather. Have long canes with few thorns, and are repeat bloomers. Not great for colder climates. Why are there holes in the leaves of my rose bushes? 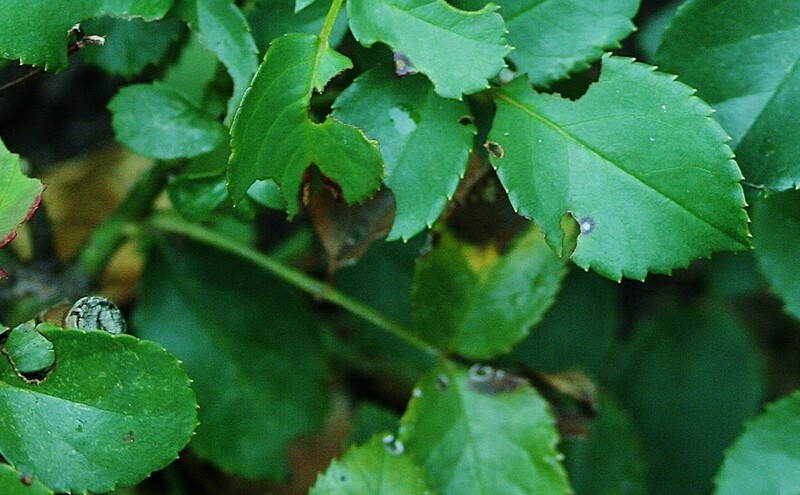 Most likely you have a problem with something that is eating your rose bushes, such as slugs or leafcutter bees. Rose slugs are repelled by insecticides, plus you may also want to remove their larvae, which have yellow and white green body and a yellow or orange head. Unfortunately, leafcutter bees are not repelled by insecticides. The best way to keep them away is using a netting around your roses. I'm a rose lover and at one time I had over 200 different roses in my garden. I specially like the old ramblers. I wrote about them too, but my Squidoo lenses haven't been transferred yet. However in Winter 2011 most of my roses died due to way to high temps in January, followed quite unexpected by extreme frost of -18C. Lots of my roses were all dead above ground and many didn't recover at all. I'm so glad you found this useful! I've been wanting to plant rose bushes for a few years now and have found your hub quite helpful. Thank you. Thank you very much teaches. We have quite a few, but not that many. I think maybe nine or ten. There are only five that are really flourishing. The other few are small, but I give them a year or two and they will be blossoming like the others. I love roses. When we lived in the midwest we had over thirty-five bushes around our front yard. My husband enjoyed pruning them because it was very relaxing to him after a hard days work. Good post and the chart is a handy guide. Been looking after roses since granny lived at our house. Around sixty years ago. In that time, i've almost come to shun hybrid tea roses. Since much of the success of the roses depends upon assessing your region and using the varieties that roughly correspond. For almost, no care roses? There is always the "explorer series". Varieties named after early europeans. it's hard to choose? Generally the popular varieties are for good reason. Maiden's Blush or Theresa Bugnold, good choice. My own two faves, that I take a cutting when moving. Are "Kazenlik" and "Apothecary Rose". Kazenlik comes from northern Turkey. Is used commercially for hundreds of years to make Rose of Attar oil. The smell when in bloom, is exquisite! It only lasts for about three weeks. Yet it's worth it. 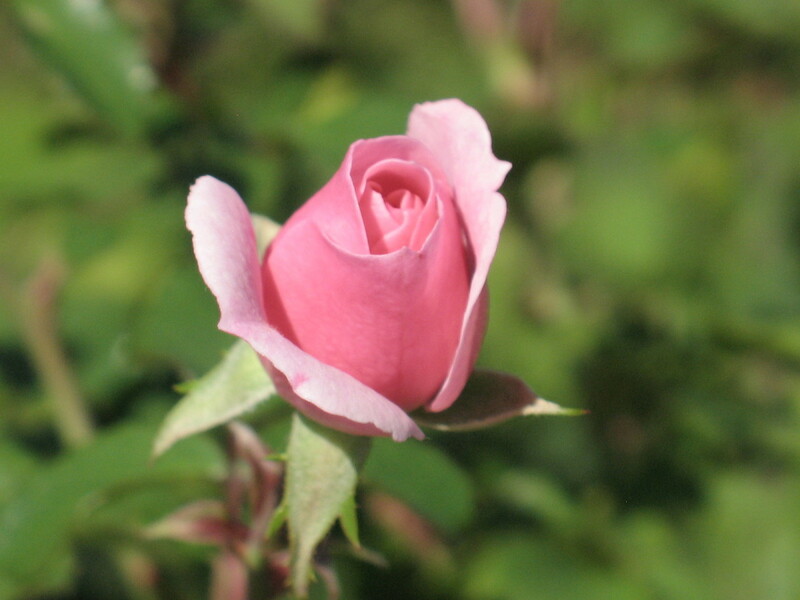 Apothecary Rose is the one used for a rose and medicinal purpose. Good hip production and fragrance. Awesome advice. Any tips on planting cuttings?